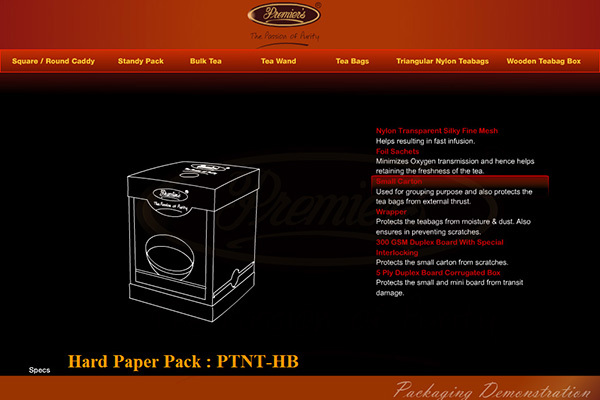 Packaging specification Flash presentation for a tea processing and packaging company. I was working at Premier's Tea Ltd. as an in-house graphic designer and this was one among several other design and presentation projects. 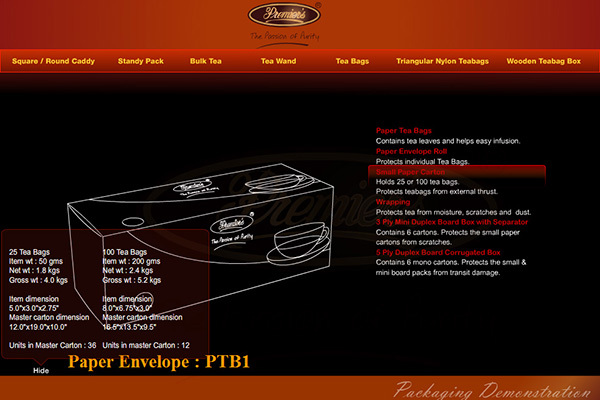 The marketing team at Premier's wanted to create an interactive presentation about tea packaging - one of the USP of the company, so I create this Flash presentation for Premier's tea packaging demonstration. 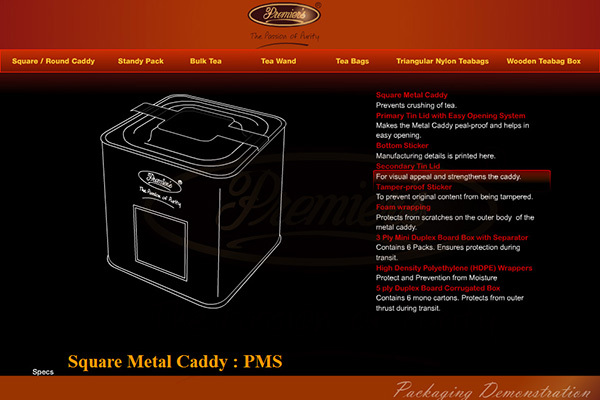 Premier's has an wide range of containers for tea packaging - here in this packaging process the cans and containers are shown as wire-frames as this was basically for technical demonstration purpose. Adarsha Packaging is a Bangalore based manufacturer and supplier of packaging products. We provide customized corrugated packaging for different types of products and ensure high quality and safest packaging boxes. Corrugated Box , Packaging Material , Corrugated Box Manufacturers , Product Packaging Boxes , Corrugated Packaging.